CCF maintains a field base in Namibia. CCF works internationally and maintains a field base in Namibia, the country with the largest population of wild cheetah. Cheetahs are one of Africa's most endangered big cats. Cheetahs are famous for their speed and agility but are also one of Africa’s most endangered big cats. Their numbers have declined by 90% over the past 100 years, dropping from 100,000 to less than 10,000 today. 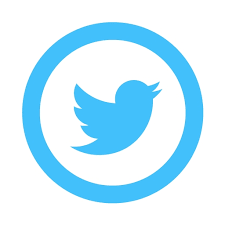 The main reasons for the decline are human-wildlife conflict, disappearing habitat, and loss of prey. 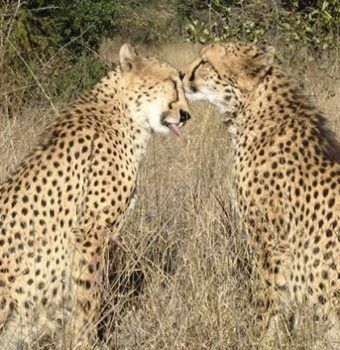 CCF’s work with conflict mitigation, and their education and outreach programs are being replicated in other cheetah-range nations and serve as a model for carnivore conservation programs around the world. CCF’s Field Research and Education Centre in Otjiwarongo is open to the public 364 days a year. Visitors can interact with CCF scientists and learn about CCF’s livestock guarding dogs, model farm, and wildlife conservancy. Overnight guests may opt to spend a few days at CCF’s Cheetah View Lodge for an immersive cheetah experience. Spread the Word! 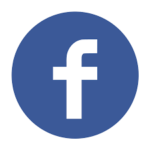 Connect with Cheetah Conservation Fund on Social Media. CCF operates under the principle that the key to sustainable conservation lies in improving the livelihoods of people. When human beings’ needs are met, they are more likely to care about biodiversity and become stewards of the planet. 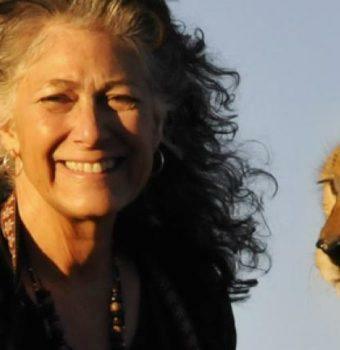 Recognized as one of the world’s leading experts on cheetahs, Dr. Laurie Marker is a pioneer in cheetah research, conservation, and farmer-carnivore conflict mitigation. As the cheetah curator at Oregon’s Wildlife Safari, she first traveled to Namibia in 1977 to conduct pioneering research with a cheetah she raised to study the potential for reintroducing captive-born cheetahs into the wild. During this trip, Laurie was shocked to learn of the violent conflict between livestock farmers and cheetahs that was driving the species toward extinction. In the early 1980’s her collaborative research with the Smithsonian and the National Cancer Institute helped discover the cheetahs lack of genetic diversity, and she joined the Smithsonian in 1988 to continue research and find a way to help the cheetah survive in the wild. In 1990, Dr. Marker established CCF and relocated to Namibia. Her early studies took her farm-to-farm to find out why farmers were shooting cheetahs. 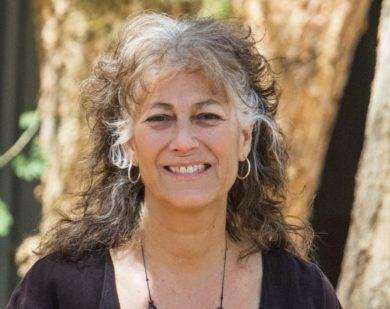 By understanding the farmers’ problems, she developed solutions that not only stopped the senseless killing, but also began changing the way people viewed predators in Africa. 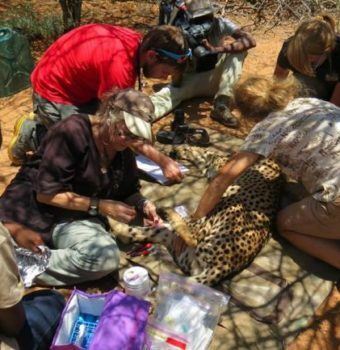 Over the years she has developed a large biological and ecological database on wild cheetahs, working on nearly 900 wild cheetahs and releasing over 600 back into the wild by working closely with the livestock farming community. Dr. Marker has received many international awards for her work, including the Tyler Prize for Environmental Achievement, the premier award for environmental science, environmental health and energy. She was also named a “Hero for the Planet” by TIME Magazine and is an A.D. White Professor at Large with Cornell University. 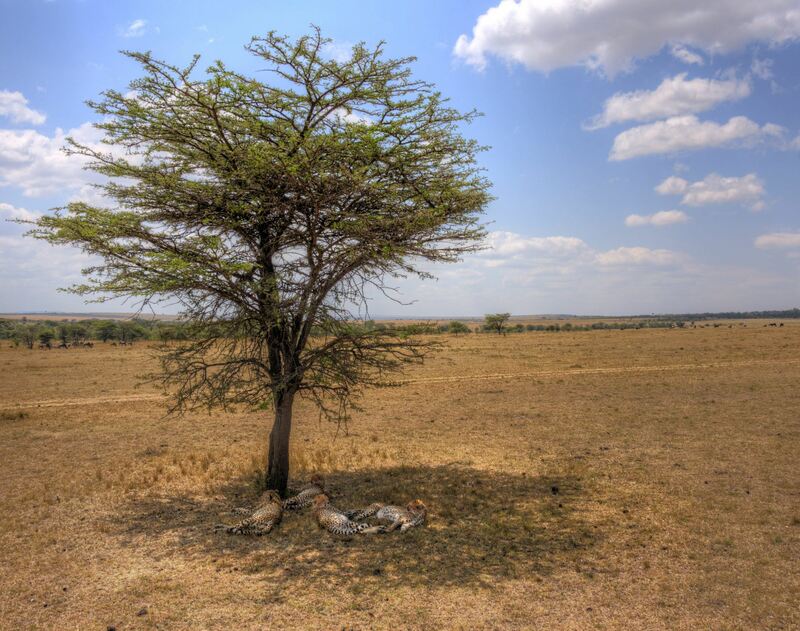 Mitigating conflict between cheetahs and livestock farmers is a hallmark of CCF’s work. In 1994, CCF launched its CCF Livestock Guarding Dog Program. CCF breeds, trains and places Anatolian shepherds and Kangal dogs with Namibian farmers to help protect goats and sheep from large carnivores like the cheetah. The dogs have been used in Turkey for thousands of years with great success. In Namibia, farmers with CCF livestock guarding dogs report a reduction in livestock losses ranging over 80%. Thus, farmers no longer feel pressured to shoot or trap and remove cheetahs from the landscape. CCF has helped launch similar Livestock Guarding Dog programs with conservation organizations in Botswana, South Africa, and Tanzania. CCF teaches agricultural workers land conservation, livestock, and wildlife management techniques to make African farms more profitable. Future Farmers of Africa courses cover livestock health and veterinary care, husbandry and valuation, fire prevention, farm management, and non-lethal predator control. CCF maintains a model farm on its 100,000-acre reserve within the Waterberg Conservancy to teach farm-related enterprises. In 2014, CCF established its Dancing Goat Creamery to market cheetah-friendly dairy products and train workers for higher paying, skilled jobs. Millions of acres in sub-Saharan Africa have been taken over by thickened thornbush. This problem not only prevents cheetahs from hunting, but the plants’ sharp spines cause critical injuries to the animals, particularly to their eyes. Left unchecked, thickened thornbush will drain water tables and make habitat unsuitable for wildlife and livestock grazing. CCF’s Bush Project combats this problem by harvesting excess thornbush and turning it into a high-heat, clean-burning fuel log under the trade name Bushblok. A renewable energy source for rural Namibians without electricity, Bushblok also provides 40 middle-class paying jobs, with the potential to provide many more. 650 Fill 1 Created with Sketch. 1,000 Fill 1 Created with Sketch. 8,000 Fill 1 Created with Sketch. $500 will sponsor a Livestock Guarding Dog for a year providing food, veterinary care, and support to a local farmer. $1,000 will sponsor the costs of a week’s training for 10 farmers, helping improve their livelihoods for a lifetime to come. 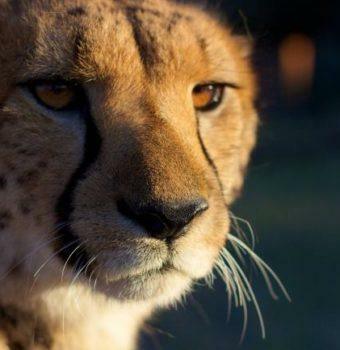 $5,000 will sponsor an orphaned or injured cheetah living in CCF’s Cheetah Sanctuary for one year. Some cats will be rehabilitated and reintroduced to the wild, while others depend on CCF’s care for life. Founded in 1990, Cheetah Conservation Fund (CCF) is dedicated to saving the cheetah. CCF works internationally and maintains a field base in Namibia, the country with the largest population of wild cheetah.